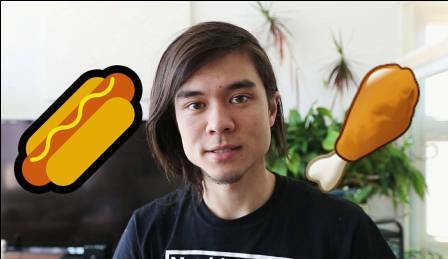 Matt Stonie currently ranked as second best competitive eater is an American from San Francisco, Carlifonia. He has an estimated net worth of $1.2 Million. Matt now 25 years, if half Czechoslovakian and Lithuanian. 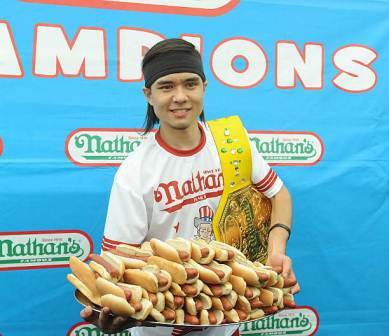 He managed to beat record holder Joey Chesnut in 2015’s Nathan Hot Dog Eating Contest after clearing 62 hot dogs and burns in record time. Stonie claims the sport has enable him earn several thousands of dollars from sponsorships, winning price money and public appearances. Matt told CNN; toppling eight times record holder Joey Chesnut boosted his ego and added pressure on him to stay at the top. He is big on social media and has featured celebrities such as Waka Flocka Flame, Cheech & Chong as well as Bam Margera on his Youtube videos. Matt Stonie, his self-titled YouTube channel has just surpassed 3 million subscribers as of mid-August 2017 and gained 582,029,549 video views since it launched in August 2012. The channel has obtained 29,008,950 views in the last month across its 287 videos, which could translate to estimated revenue of $360,000 over the next twelve months. Matt’s channel is on an upward trend in terms of subscriptions, having acquired an astounding 190,249 new subscribers in the last 30 days. Matt’s debut as a professional competitive eater was in 2011 at the age of 19, he is the youngest competitor in Major League Eating. Stonie has majored in nutrition and plans to become a dietitian.